MyPetLamp - HoweePup (MEGPUP) at Pure Design / Bedroom / Lighting ::: Furniture for the Home, Office, Home Office, and More at Pure Design Online! 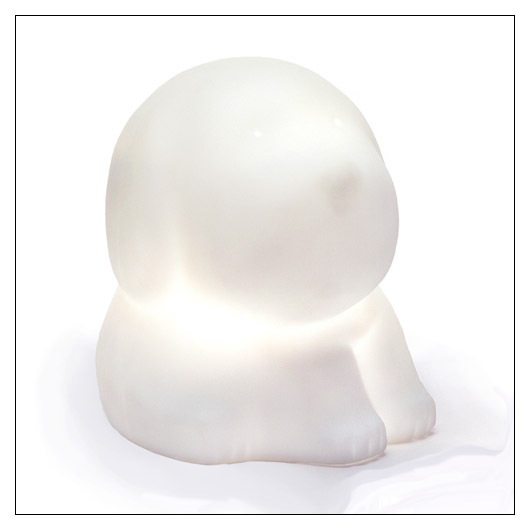 The playful MyPetLamp-HoweePup from Offi is made of non-toxic, odorless plastic with a low voltage (12v) replaceable bulb that bathes a room in soft light. While supplies last, the Mellow Yellow, Sky Blue, and Sunset Orange colors of this product are ON SALE at $31 OFF! These colors cannot be shipped to Canada, AK or HI.